University leaders are to examine how to tackle violent extremism on campus without damaging academic freedom. A working group of university chiefs is to be set up, headed by University College London provost, Malcolm Grant. 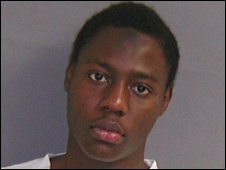 Umar Farouk Abdulmutallab, accused of attempting to blow up a plane flying to the United States, was a former student of the London university. Universities UK president, Steve Smith, said there had to be a balance between security and freedom of speech. "It is essential that as a society we respond rationally to the issue of extremism," said Professor Smith. The working group, which will be formed from university vice-chancellors and other academics, will consider how to achieve the balancing act of preventing campus extremism without undermining the right for students and staff to hold free debates. The group will "consider how universities can work with all relevant organisations, nationally and locally, to ensure the protection of freedom of speech and lawful academic activities, whilst safeguarding students, staff and the wider community from violent extremism". This follows the arrest of Nigerian-born Mr Abdulmutallab after an alleged attempted terrorist act on a flight to Detroit on Christmas Day. In seeking to find out how he had been radicalised, there had been scrutiny of his time as an undergraduate at UCL between 2005 and 2008, when he had studied engineering and business finance. Professor Grant has rejected claims that this radicalisation took place at the university - and has warned that there is a "narrow line" to be walked between tackling extremism and protecting a free exchange of views. A spokesman for Universities UK says the working group will seek to reconcile these two pressures. Among the issues to be considered will be invitations to outside speakers - and whether controversial views should be banned. While universities can act to stop illegal speeches - such as those which could incite racial hatred - it can be more difficult for universities to decide whether to allow opinions to be aired which might offend, without breaking the law. There are also questions about the extent to which universities should be expected to monitor such events - which might be small gatherings of students. Another area of concern has been the right of academics to explore controversial areas, such as terrorism and groups holding extreme views. This could include questions over academics visiting the websites of extremist groups. University staff have previously been called upon to help tackle extremism and to monitor students causing concern. But this had been strongly rejected by the UCU lecturers' union as an unacceptable request to spy on their students. The Minister for Higher Education David Lammy welcomed the setting up of the working group. "It is essential that we remain vigilant and we will continue to work with institutions and the wider community to ensure they are aware of the methods used by extremists so that young people and the vulnerable at risk of being exploited and recruited into criminal activity do not succumb to this threat."